Buy now on DVD from Amazon for only $14.96. Bella had a blast recently helping me review the new Bubble Guppies Fin-Tastic Collection, which arrived on DVD back on March 3rd. And, with her and I being sick recently (hence the reason for the limited number of posts these past few weeks), this DVD sure did keep her entertained, even when she wasn't feeling that well. So, I want to thank the folks at Nickelodeon for this, as not only was this DVD received at a perfect time, but Bubbles Guppies, the animated series, which airs daily on Nickelodeon, really is a wonderful show for preschoolers. My Bella can't get enough of it! This Bubble Guppies DVD collection is made up of two DVDs, including "Bubble Guppies" and "Bubble Guppies: On The Job! ", both of which have previously released to DVD on their own. But, now, if you don't own either DVD, you can buy this 2-DVD set and have them for your kids to enjoy. :-) We already owned these two DVDs, but like most DVDs that contain television episodes my girls have already seen a handful (or more) times, they will watch it again, as if it was the first time. :-) Are you kids the same? "This spring, dive in with the Bubble Guppies for six underwater learning adventures in the new DVD collection Bubble Guppies Fin-Tastic Collection. 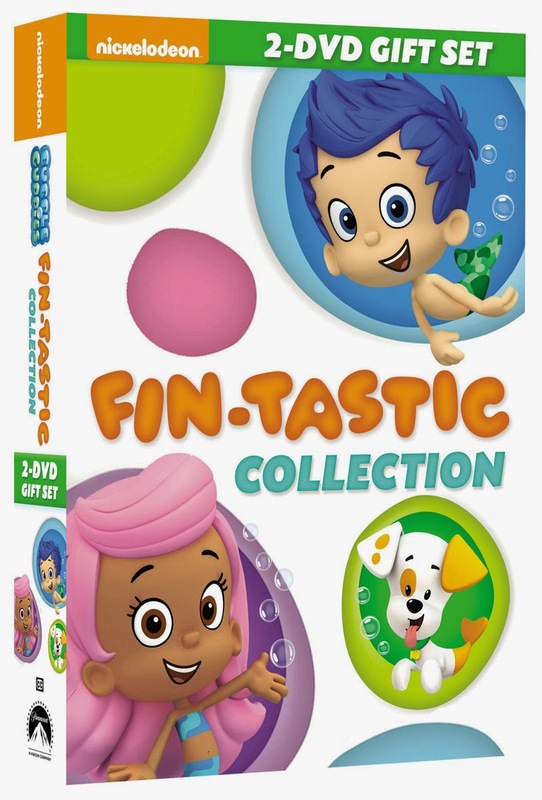 Produced by Nickelodeon Home Entertainment and distributed by Paramount Home Media Distribution, Bubble Guppies Fin-Tastic Collection will be available on DVD March 3, 2015 for the suggested retail price of $21.99. Bubble Guppies is my grandson's favorite TV show right now! He would love to have this to watch all the time!